A ham radio probably isn't the first form of communication a person thinks about in an emergency, but sometimes, it's the only one that works. 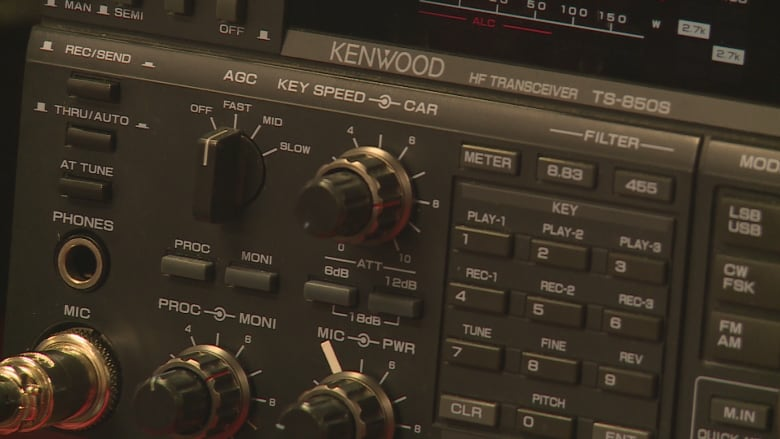 He is partnering up with EOS Eco-Energy and the WestCumb Amateur Radio Club to hold a free workshop in Sackville to try get more people interested in ham radios. He said he's already seen how ham radios could help in New Brunswick. "It became very difficult," said Johnson. "Our numbers are dwindling," Johnson said of the amateur radio clubs. But younger members are needed, especially since the clubs' services may be needed even more as the climate changes. "We still use Morse code to this day," he said. "You need to study, take the test, once you pass it's a one-time cost," he said. "It's good for life." After that, it's just buying the equipment to use. Equipment for amateur radio costs between $300 and $5,000.